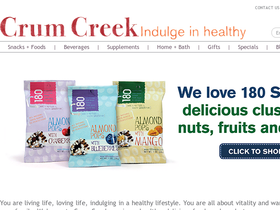 Crum Creek, online at CrumCreek.com, is your destination for products for healthy living. Crum Creek sells healthy snacks, soy nuts, soy nut trail mix, chlorella tablets, pancake mix, muffin mix, and MPS Gold-100 supplements. Crum Creek also offers Almond “Biscuties” snacks, Soy Bites Super Sampler, and Soy Bites Breadsticks. Crum Creek has recipes, articles about healthy eating, exercise and stress and offers a recipe contest as well. RetailSteal.com has the best Crum Creek coupon codes, Crum Creek discounts, Crum Creek coupons, and Crum Creek promo codes. Shipping and handling rates at Crum Creek depend on the pricing of your purchase and your shipping destination. Orders are shipped via UPS or USPS. See website for full details, exclusions may apply. Use this coupon code on Crum Creek to save 25% on one product. Spend $30 or more and save 10% on your online order at Crum Creek. Click link for savings. Save $8 when you buy two cases of soy protein powder when shopping online. Click to save. Buy any 2 cases of Soy Protein Pasta and save $6 when shopping online. Click to save. 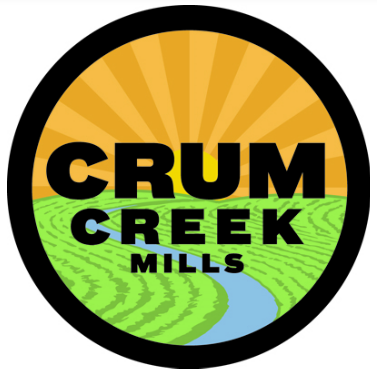 Save $5 on your next order at Crum Creek when you sign up for the community newsletter. Click link to sign up. Buy any two cases of soy nut mix and save $4 when shopping online. Click to save. Take $4 off any purchase of two cases of pancake mix when shopping online. Click to save. Save $4 on muffin mix when you buy two cases when shopping online at CrumCreek.com. Click to save. Get free recipes when you shop online at Crum Creek. Click link now.